[To Lucius] When, Lucius, when? Awake, I say! What, Lucius! [To Lucius] Hey, Lucius, hello! [Aside to himself] I can't tell by the position of the stars how close it is to dawn. Lucius, I say! I wish my vice was sleeping too well. When are you getting here, Lucius? [To Lucius] Wake up, I say! Hey, Lucius! Did you call, my lord? Get me a candle for my office, Lucius. When it's lit, come and call me. It’s on sunny days that you must be careful about stepping on a snake, as that’s when they come out into the open to warm themselves. Likewise, it’s at this time of peace following the end of the civil war that the Romans should be wary of Caesar seizing too much power. He must die. Now, as for me, I don't have any personal reason to remove him, except for the general welfare of Rome. He wants to be king, and how that would change his nature—that’s the question. It's in broad daylight when things seem safest that snakes come out and one must be careful when walking, just as we must be most careful in proceeding in this matter. By crowning him we would be giving him a weapon which he could use against us at his will. Abuse of power happens when the individual separates conscience from the use of that power. To speak honestly about Caesar, I've never known a time when his emotions ruled him more than his reason. But it's a common observed fact that humility serves as a ladder for young ambitious men. But once they've reached the top rung, they turn their backs on the ladder, looking only upward to the clouds, and have nothing but scorn for the lower levels which have helped them make their way up. Caesar may be like that. We're familiar with the metaphor of the ladder of success. Caesar, like many politically ambitious youths, climbed the ladder of success by cultivating his popularity among the “lowliness,” the lower classes. Brutus thinks that Caesar, like the others, will turn his back on the plebeians once he’s achieved the heights of power. But there’s a cleverness in Brutus’ choice of words. “Lowliness” can also mean humility, and it’s through his display of humility that Caesar developed his popularity among the plebeians. Finally, “base degrees” can also mean lower steps—the bottom rungs of the ladder in the metaphor. Then, in case he is, we should prevent his ascent. Since this accusation would not be supported by how he is now, the argument against him should be fashioned in this way: given what he is now, with the addition of the power of a crown, will lead to excessive behavior. Therefore, think of him as a snake's egg, which, while not dangerous as it is, will inevitably become deadly as all snakes are. So it would be better to kill him in the shell. The candle's been lit in your study, sir. While I was looking on the windowsill for a piece of flint, I found this paper sealed up like this, and I'm positive it wasn't there when I went to bed. Get you to bed again, it is not day. Go back to bed, it's not yet day. Boy, isn't tomorrow the 15th of March? Look at the calendar and come tell me. Look in the calendar and bring me word. "Brutus, thou sleep'st. Awake, and see thyself! Shall Rome, et cetera. Speak, strike, redress! The meteors flying through the sky give off so much light that I can read by them. "Brutus, you're sleeping. Wake up, and see yourself! Shall Rome—I don't need to spell out what Rome's undergoing. Speak up, attack, right the wrongs! Brutus, you're asleep. Wake up!" Many such urgings have been left where I could find them. "Shall Rome, et cetera." I have to figure it out. Shall Rome be ruled by one man? What, Rome? My ancestors drove Tarquin from the streets when he became a king. "Speak up, attack, right the wrongs!" Are they begging me to speak up and take violent action? Oh Rome, I promise you, if there's justice to be restored, my hand will demand it! "did from the streets of Rome / The Tarquin drive"
It was Brutus’ famous ancestor who, centuries earlier, led the rebellion which overthrew the tyrant Tarquin king and established the Roman Republic. Sir, today is March 15th. Good. Go to the gate, someone's knocking. I haven't slept since Cassius first roused me to act against Caesar. This time before carrying out a dreadful act, but after the first idea of it, is like an illusion or a terrible dream. The rational mind and physical impulses are in conflict, which makes the human being like a little kingdom suffering from a rebellion. Sir, your brother-in-law Cassius is at the door and wants to see you. No, sir, there are other people with him. No, sir, they have their hats pulled down low over their ears, and half of their faces are hidden in their cloaks, so I have know way to know who they are by looking at them. They are Cassius' faction against Caesar. Oh, conspiracy, are you too ashamed to show your dangerous face even at night when evil most free to walk about? Then where will you find a dark enough cave in the daytime to mask your monstrous face? Don't look for a cave, conspiracy. Hide yourself in smiles and cheerfulness, for if you showed your true face, even Hell itself wouldn't be dark enough to keep you from being detected and your plans prevented. I think we've too boldly disturbed your rest. Good morning, Brutus. Are we troubling you? I've been awake for an hour and up much of the night. Do I know the men that have come with you? I think we are too bold upon your rest. Good morrow, Brutus. Do we trouble you? Yes, every single man. And there is no man here that doesn't think you're honorable. Every man here wishes you had the same opinion of yourself that all noble Romans have of you. This is Trebonius. This is Casca, this is Cinna, and this is Metellus Cimber. They are all welcome. What's keeping you all up at night? Here lies the east. Doth not the day break here? This is east. Doesn't the sun rise here? Oh, excuse me, sir, it does. Those grey lines in the clouds that look like frets on a violin signal the rising sun. You'll both have to admit you're wrong. Here, the way I'm pointing my sword, is where the sun rises, which is very much towards the south since it's not that long since winter. In two months the sun will rise up higher toward the north, and due east is in the direction of the Capitol building, right there. [To all the conspirators] Everyone give me your hands, one by one. And let us swear our resolution to our task. Stands as the Capitol, directly here. [To all the conspirators] Give me your hands all over, one by one. Caesar's tyranny is aimed at even the highest nobles of Rome. Caesar is like a hawk that flies high in order to have a good view of all the creatures it can prey upon. No, not an oath. If we can't be motivated by the sad faces of our fellow men, the suffering of our souls, and the oppression of this time, let's break off and go back to our beds; so let ambitious tyranny rage on until each of us dies according to Caesar's whims. But if these reasons are enough, which I'm sure they are, to inflame cowards, and to strengthen our effeminate sprits with valor, what other spur do we need to prod us to redress the wrongs? What other bond do we need than being discreet Romans who have given their word and would never renege? What other oath do we need than honest men committed to each other, knowing that they will either triumph together or die trying? Swearing is for priests and cowards and cautious men, for feeble old people and the kind of suffering souls that welcome abuse; swear such men who cannot be trusted to bad causes. But don't tarnish the virtue of our action or our unconquerable spirit by thinking that our cause or our action needs an oath—when anyone claiming to be a true son of Rome would be proved an if he breaks the smallest piece of an oath he swore. Of any promise that hath passed from him. But what about Cicero? Should we sound him out on our plan? I think he will strongly support us. Let's not leave him out. Oh, let's recruit him, for his older age will make people think well of us and make many speak favorably of us. People will say that we were ruled by his wise judgment. Our youth and rashness will not show, overshadowed by his dignified gravity. Don't suggest him. Let's not bring the matter up with him. He'll never go along with a plan other men have come up with. And buy men's voices to commend our deeds. It shall be said his judgment ruled our hands. Shall no man else be touched but only Caesar? Indeed, he's not a good fit. Are we just going after Caesar? Good question Decius. I don't think it's a good idea for Mark Antony, who is so beloved by Caesar, should be left alive. You'll find him a cunning strategist, and if he builds up his power, it may grow so much as to harm all of us. To prevent this, let's kill Caesar and Antony together. No, our actions will seem to bloodthirsty, Caius Cassius, if we cut off the head of evil and then hack off the limbs in what would seem a fury of killing and cruelty, for Antony is just an arm of Caesar's. Let's be seen as making a sacrifice to the gods for the welfare of Rome, not bloody butchers, Caius. We're attacking the spirit of Caesar, and that spirit doesn't consist of blood. If only we could access Caesar's spirit without dismembering Caesar. But, alas, Caesar has to bleed. And gentle friends, let's be bold when killing him, but not full of rage. Let's carve him like an offering to the gods, not hack him like a carcass thrown to the dogs. We'll be like shrewd masters who enrage their servants to some bloody action, then afterwards make a fuss of criticizing them for their violence; we'll profess that our hearts regret what our hands have done. Thus, our deed comes from necessity, not from jealousy. If it seems like this to the common people, they will see us as purgers, not murders. As for Mark Antony, don't worry about him. He can't do any more than Caesar's arm after Caesar's head is cut off. Is to himself — take thought and die for Caesar. Oh come on, good Cassius, don't think about him. 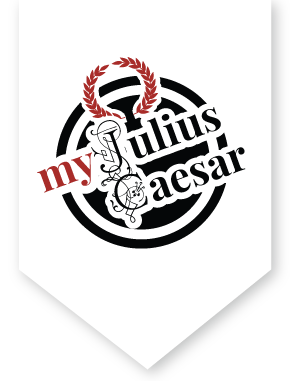 If he loves Caesar that much, the only one he would harm is himself, becoming so grief-stricken that he kills himself. And that’s the most he would do, given how he lives just for the pleasures of life: sports, parties, and socializing. Nothing to fear from him. Don't kill him, he'll laugh at this afterwards. Hush! Count the clock chimes. It's time to split up. To sports, to wildness, and much company. For he will live and laugh at this hereafter. Shakespeare has committed a humorous anachronism, which is the attribution of something to a time period to which it doesn’t belong. It will be 1500 years before the invention of a mechanical clock that can chime on the hour. May hold him from the Capitol today. But it's still doubtful whether Caesar will come to the Capitol today or not. Lately he's become superstitious, which is very different from the opinions he used to have about spirits, dreams and religious rituals. It's possible that the strange occurrences we've seen, the unusual terrors of this night, and the advice of his fortune tellers might keep him from coming to the Capitol today. Don't worry about that; if he decides not to go I can persuade him otherwise. He loves hearing stories of how different creatures can be deceived and betrayed: unicorns getting their horns stuck in tree trunks, bears bewildered by their image in a mirror, elephants falling into hidden pits, lions caught by camouflaged nets, and men misled by flatterers. But when I tell Caesar how smart he is not being influenced by flattery, he is, of course, extremely flattered. Leave him to me. I can adjust his mood to bring him to the Capitol. Lions with toils, and men with flatterers. He says he does, being then most flatterèd. In ancient Rome, a powerful politician would "hold court" most days in his villa where lesser noblemen would assemble to curry favor or show their political allegiance. On this important occasion, when Caesar is going to address the Senate, it would be appropriate that his supporters would accompany him to the Capitol as his entourage, much like the U. S. President entering a joint assembly of Congress followed by his Vice President and cabinet secretaries. By the eighth hour. Is that the uttermost? Who rated him for speaking well of Pompey. No, all of us will be there to bring him. By eight o'clock. Is that the latest possible? Let's say that's the latest, and be sure to be there by then. Caius Ligarius hates Caesar, since Caesar berated him for speaking well of Pompey. I'm surprised none of you thought of him. Good Metellus, go see him. I've given him good reason to like me. Just send him here and I'll convince him to join us. Morning is coming. We'll leave you, Brutus. And my friends, go your separate ways, but everyone remember what you've said, and prove yourselves to be true Romans. Now, good Metellus, go along by him. He loves me well, and I have given him reasons. The morning comes upon us. We'll leave you, Brutus. With untired spirits and formal constancy. Good gentlemen, look bright and cheerful. Don't let our appearances give away our intentions. Keep up the cheerful appearance like Roman actors do, with tireless spirits and composed faces. And so good day to everyone. Boy! Lucius! Are you fast asleep? It doesn't matter. Enjoy the sweetness of heavy slumber. You have no troubling figures or visions that worry makes in men's brains; that's why you can sleep so deeply. Boy! Lucius! Fast asleep? It is no matter. Portia! What mean you? Wherefore rise you now? Portia! What are you doing? Why are you awake now? It's not good for your health to bring yourself and your weak disposition out into such a raw, cold morning. It's not good for your health either. You suddenly left our bed, and yesterday during dinner you suddenly got up and walked around, thinking to yourself and sighing with your arms crossed. When I asked you what was wrong, you stared at me angrily. I asked you again, and you scratched your head and stamped impatiently with your foot. Musing, and sighing, with your arms across. I still insisted, and you still didn't answer, but signaled with an angry wave that I should leave you. So I did, since I was afraid of making your impatience worse when it already seemed to be too strong. I hoped it was just the kind of strange mood that everyone gets once in awhile. This mood won't let you eat, or talk, or sleep. Brutus, if this mood could change your body as much as it's changed your disposition, I wouldn't recognize you. My dear lord, tell me what is causing you this grief. I'm feeling sick, that's all. Brutus, you're smart, and if you were sick you would have found some way to heal yourself. Why, so I have, my good Portia. Now go to bed. Brutus, if you're sick, is it healthy to walk without warm clothes breathing in the air on this dank morning? If you're sick, is it healthy to leave your restorative bed and risk catching a disease in the night, daring the flu-causing, unclean air to add to your sickness. No, my Brutus. To add unto his sickness? No, my Brutus. You have something sick in your mind, which I should know, by rights as your wife, and by the virtue of my character. On my knees I appeal to you, by my once praised beauty, by all your vows of love, by that important vow which joined us in marriage, to reveal to me, your other half, your thoughts, why you've been so burdened, and who were those men who called upon you, for were six or seven of them that hid their faces, even from the darkness. I should not need if you were gentle Brutus. I wouldn't need to kneel if you were "gentle Brutus"! Is it right that I shouldn't know any important secrets related to you, even though we are joined in marriage? Am I yours only in some limited way, to keep you company at meals, sleep in your bed, and talk to you sometimes? Do I only reside in the suburbs of your pleasure, like the prostitutes of London forced to practice their trade beyond the city limits? If so them consider me your whore and not your wife. You're my true and honorable wife, and you are as dear to my life as the red drops of blood that pass through my sad heart. A woman that Lord Brutus took to wife. Portia's father, Cato, was a prominent nobleman, famous for his integrity. He fought with Pompey opposing Caesar's coming to power. But when their armies were defeated, he refused to become Caesar's prisoner like Brutus and Cassius. Instead, he chose what he considered the more honorable fate: suicide. If that's true, then I should know this secret. I'll grant you I am a woman, but I'm the woman that Brutus chose for his wife, a woman well regarded, the daughter of the most honorable Cato. Do you think I'm no stronger than the average woman, given my father and husband? Tell me your secrets, I will not reveal them. I've proved myself to be loyal. Look, I've voluntarily wounded myself in the thigh. Can I endure that and not endure hearing my husband's secrets? Being so fathered and so husbanded? Tell me your counsels, I will not disclose ‘em. Oh gods, make me worthy of this noble wife! Listen, listen! Someone's knocking. Portia, wait inside for awhile, and very soon I'll share my heart's secrets. I'll tell you of all my undertakings and everything that's reflected in my sad appearance. Quick, leave me now. There's a sick man who wants to speak with you. Here is a sick man that would speak with you. Boy, stand aside. Caius Ligarius, how? Must be Caius Ligarius that Metellus mentioned. Boy, leave us. Ah, Caius Ligarius, how are you? Please receive greetings from my weak tongue. Oh what a time you picked to be ill, brave Caius, I wish you weren't sick. I'm not sick if you've got some honorable exploit at hand. I may have such an exploit in hand, Ligarius, if you have a healthy ear to hear it. Any exploit worthy the name of honor. By all the gods Romans worship, I cast off my sickness. Brutus, soul of Rome, brave son descended from honorable ancestors, you've brought to life my dying spirit! Assign me a task, and I'll tackle the impossible; yes, I'll overcome it. What's there to do? A kind of work that will make sick men better. But aren't there some well men that must be made sick? That too. I'll tell you what's going on, my Caius, as we're going to see the one we must make sick. Start walking and with a revived heart I will follow you to do whatever; it suffices that Brutus is leading me.